Theresa Musoke is one of the leading women artists in East Africa. Musoke's work, mostly depicting wildlife has been shown extensively both in East Africa and beyond. 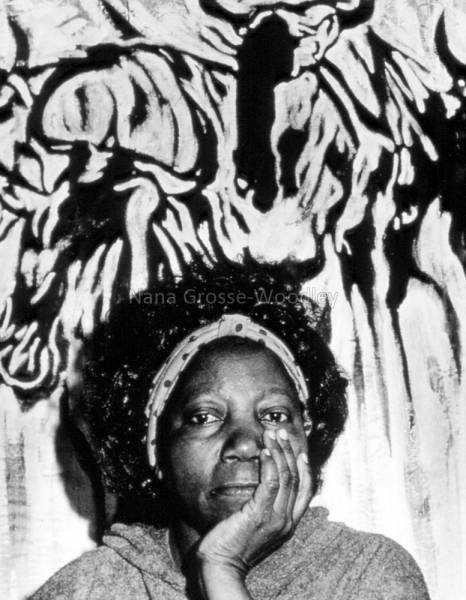 She was the first African woman artist to present a show in post-independence Kenya in 1965. She has also received many prestigious public commissions. Musoke was born in 1944 in Kampala and did her first degree at Makerere University. A year after her art degree, she got a scholarship to take a postgraduate diploma in printing at Royal College of Art in London. This left Musoke with a keen passion for education and teaching which was a key part of her artistic life. She taught often in both Kenya and Uganda and is much loved by her many students, past and present and the many artists that she inspired.